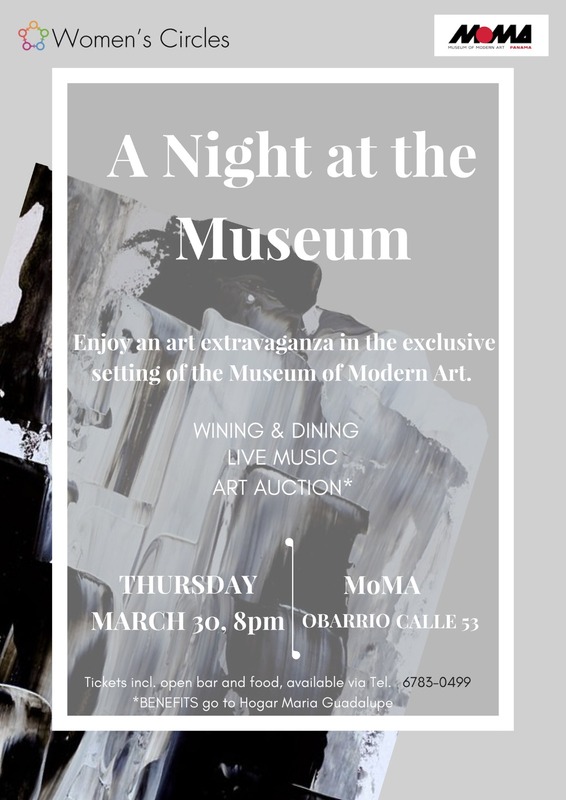 Join Women’s Circles on Thursday March 30th for our Night at the Museum where we will be raising funds to benefit Hogar María Guadalupe. Come dressed as your favorite actor or for the red carpet and be treated like royalty with gourmet appetizers and fine wine! There will be an auction involving several of Panama’s finest artists, live music, painting, and other fun surprises. This special Women's Circles event is open to men and women. For your convenience, we have FREE parking! Proceeds raised will go directly to fund Hogar María Guadalupe. Buy your tickets online or by contacting Women’s Circles! Hogar María Guadalupe was created to help pregnant adolescents who are unprotected, defenseless, abandoned, and without economic solvency. These young women suffer from family rejection and social discrimination. The objectives are to provide temporary housing to pregnant youth with the purpose of reducing their vulnerability. The facility provides the girls comprehensive psychological, social, medical, educational and spiritual care.